We’ve been looking at obedience for the past month or so. and some practical ways to teach our children to obey. We’ve also looked at some reasons for our children to obey cheerfully and some ways to encourage cheerful obedience. Today we’re going to look at what we should do about children who continue to disobey or who “obey” with a bad attitude. What can we do? One of the first things we can do is look at ourselves. We can ask God to help us see how we as parents might be making it difficult for our children to respect and obey us. Our sins and mistakes don’t excuse our children from their responsibility to obey us (unless we are asking them to sin). But our mistakes and sins can make it more difficult for our children to obey. 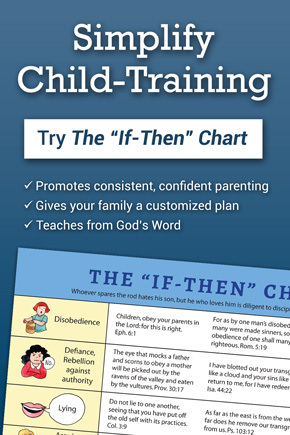 It’s noteworthy that after both New Testament commands for children to obey their parents (Eph. 6:1 and Col. 3:20), fathers are immediately instructed to not provoke their children. “Fathers, do not provoke your children to anger, but bring them up in the discipline and instruction of the Lord” (Eph. 6:4). “Fathers, do not provoke your children, lest they become discouraged” [Col. 3:21). That word provoke has to do with exasperating or arousing to anger, and we can see in both of these verses that provoking our children can lead them to become angry or discouraged. The way we as parents (both fathers and mothers) interact — or don’t interact — with our children and with others can profoundly affect their attitude toward our God-given authority. 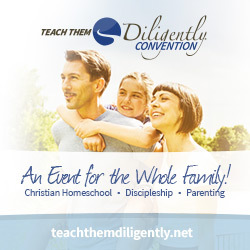 We should ask God to help us see how we might be provoking or discouraging our children. He will speak to us through His Word, and also through the counsel and honest words of others who know us well. If you are dealing with a habitually disobedient child, ask for input from your pastor and from trusted, godly friends who love you enough to be honest with you. Can they help you see weaknesses and sins that are difficult for you to see in yourself? 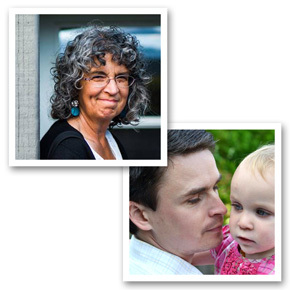 Can they help you see blind spots that may be affecting the way you relate to your children? Sit down with older children who are disobeying and be willing to listen. Are you provoking or discouraging them in any way? This takes wisdom and grace. We mustn’t take the blame for our children’s disobedience. But if we are willing to humbly listen to them, we may find that we have failed in our own God-given responsibilities in ways that tempt them to rebel. We may talk too much. It’s so easy to start trying to be the Holy Spirit in our children’s lives. When we do this, we start to nag. When we nag, our children will quit hearing us. And when they quit hearing us, they may quit hearing the Holy Spirit convicting voice as well. When we hear ourselves saying the same thing over and over, it’s probably a good sign that we need to talk less and pray more. We can pray for God to soften our child’s heart — and ours. We can pray for Him to use the words of Scripture and the words and examples of others to move our children’s hearts. We may only see what our children are doing wrong. Constant correcting, without encouragement or praise for what he is doing right, can lead a child to give up or rebel. We need to focus on building up while we help our children overcome sin. We may fail to actively love our children. “We love him, because he first loved us” (1John 4:19). Correction and discipline need to occur in the context of a loving, trusting relationship. If our children know we love them and want what is best for them, they will accept our instruction and correction. We may know that we love our children, but we need to love them in ways they can understand. If we want to help them obey, we need to spend time with them, listen to them, share in their interests, and give up some of our own comfort and desires in order to love and serve them. We may focus on outward behavior. “…for man looketh on the outward appearance, but the LORD looketh on the heart” (1Sam. 16:7). If we focus all our attention on our children’s outward actions, without dealing with the deeper heart issues, our children will not be truly obedient — especially when we are not around to see what they are doing. Outward actions are evidence of what is happening in the heart. Deal with the root sins in your children’s hearts, or those roots will continue to produce sin and disobedience. We may try to control our children with anger and unkind words. “…for the anger of man does not produce the righteousness of God” (James 1:20). Our discipline, when done in anger, turns into punishment. We are no longer instructing, but instead we are making our children pay for their wrongdoing. This vindictive attitude is sure to provoke our children, tempting them to withdraw or lash out in their own anger. They need to know that Jesus has paid for their sin. There is no need for them to pay for it again. We may lead our children to believe that they can obey in their own strength. “For I know that nothing good dwells in me, that is, in my flesh. For I have the desire to do what is right, but not the ability to carry it out” (Rom. 7:18). “But God, being rich in mercy, because of the great love with which he loved us, even when we were dead in our trespasses, made us alive together with Christ–by grace you have been saved” (Eph. 2:4-5). Without Jesus, our children are dead in their sins. They can’t obey in their own strength. If we only correct our children without leading them to Jesus when they have sinned, many will simply give up. They know that they will never measure up to God’s standard. They need Jesus and the life-changing hope of the gospel that transforms their hearts and gives them the desire and the power to obey. We may be overly strict, expecting perfection from our children. Yes, we need to be consistent, but we also need to prayerfully show our children the same kind of loving patience, grace, and mercy that God shows us. Growing and maturing takes time. I have been so helped in my parenting by your materials and this article is no exception! Instinctively I know when I am too hard on my kids, like this article describes, it’s wrong. I just have such a hard time consistently doing what is right! Any advice that could help me in that? This is so excellent. I never noticed before that the “obedience scriptures” were followed by the “not to provoke to anger” scriptures. Thanks for the revelation! 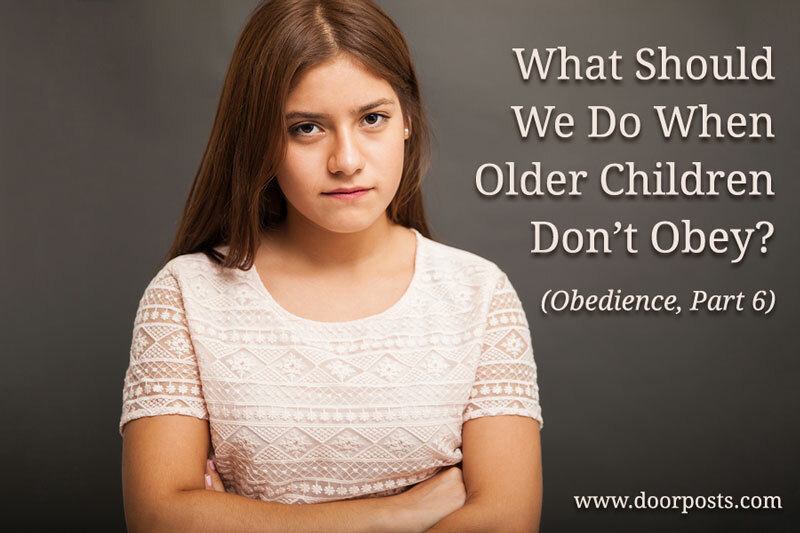 Thank you for addressing disobedience in older children. I have 3 children. My oldest (daughter) is 19 and married to a godly young man. My other two (sons) are almost 17 and almost 14. They are great kids, but I know that we have made many mistakes, especially with our youngest, as we became more lax in our parenting. I can identify with some of the mistakes we make as parents. My biggest mistake is talking too much; I am working on that. My husband is a great father – very loving, active, and engaged with his children. However, he is the opposite of being overly strict; instead, he is overly merciful. He likes to rough house and banter with our boys. Our youngest takes it to the extreme and really mouths off sometimes, in a joking, but very disrespectful or inappropriate way. “Seeing himself” in our youngest son, my husband “identifies” with him and even finds his behavior funny sometimes. Because of this relationship and habit of bantering, my son doesn’t always recognize or respect the times when my husband is trying to be serious. At those times, my son tends to react in anger. Instead of addressing the heart issues, my husband’s tendency is to cover over it with diversion, more attempts at humor, or just talking to him (no consequences). Yet, he tends to over-react and over-discipline on matters that fall into the “spilled milk” category, such as breaking or damaging something by accident. It is very frustrating for me because I have tried to make him aware, but it falls on deaf ears, so now I say nothing and just pray that God will show him. I think the bottom line is lack of clear boundaries and consistent consequences. Can you address this? I would love to hear your response to Callie. My husband is also a mercy and grace driven man which isn’t bad but there is a time for discipline and because he sees himself in them, he tends to think it’s harmless behavior or makes excuses.